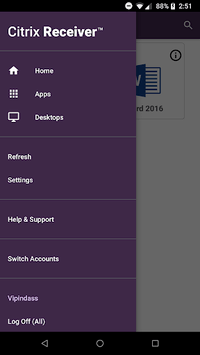 The new Citrix Workspace app (formerly known as Citrix Receiver) provides a great user experience - a secure, contextual, and unified workspace - on any device. It gives you instant access to all your SaaS and web apps, your mobile and virtual apps, files, and desktops from an easy-to-use, all-in-one interface powered by Citrix Workspace services. Using your mobile and virtualized applications, files and desktops is faster and easier than ever. Just ask your IT department how to get started. •	Provide single sign on capabilities with Citrix SecureHub and Citrix Files. This virtual channel allows Workspace to redirect sensor information to applications running on server. For example, applications can use accelerometer data to drive 3D-modelling application, use ambient light level to control the brightness of the screen, use location data to alter behavior of application, and so on. Built on the Raspberry Pi 3 platform, the Citrix Ready workspace hub provides a secure connection to authorized apps and data. 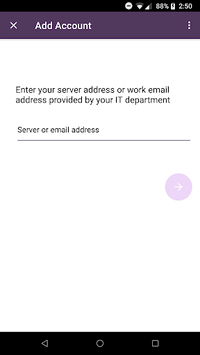 Citrix Workspace app for Android supports user authentication to Citrix Ready workspace hubs as an experimental feature. This allows authenticated users to cast their sessions to a hub. The feature is disabled by default. Note: Location permission is required for the Citrix Ready workspace hub experimental feature. You can deny this permission if there are no workspace hubs present. 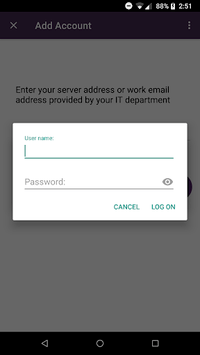 If your company doesn’t use Citrix yet, you can install Citrx Workspace app and request a demo account by “Try the demo” in Citrix Workspace app.